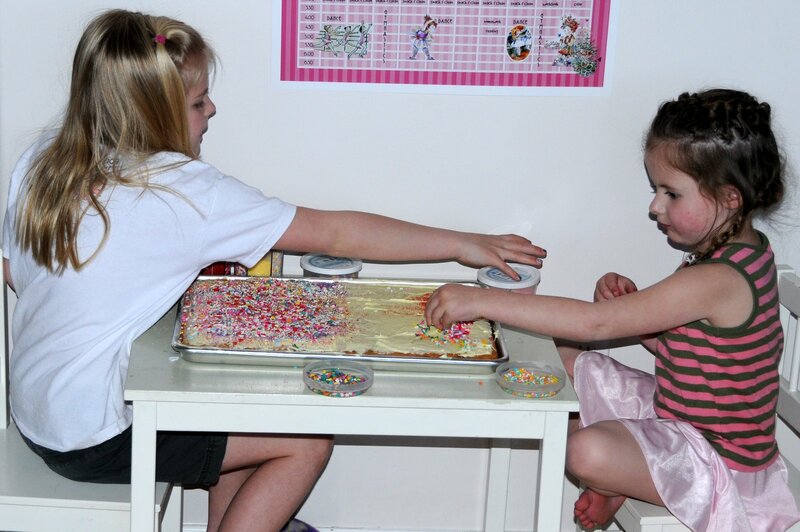 The girls have been wanting to decorate a cake or cookies for a while. I just kept putting it off until finally we did it. I made a sheet cake so the girls had a lot of space to decorate. The funny thing about how they decorated was that they just sprinkled everything everywhere. There was no rhyme or reason just dumping. But, they had fun and isn't that the reason we do most of the things that we do? It was tasty but I have to say, a sheet cake last much much much longer than a bundt cake or a 9x13. 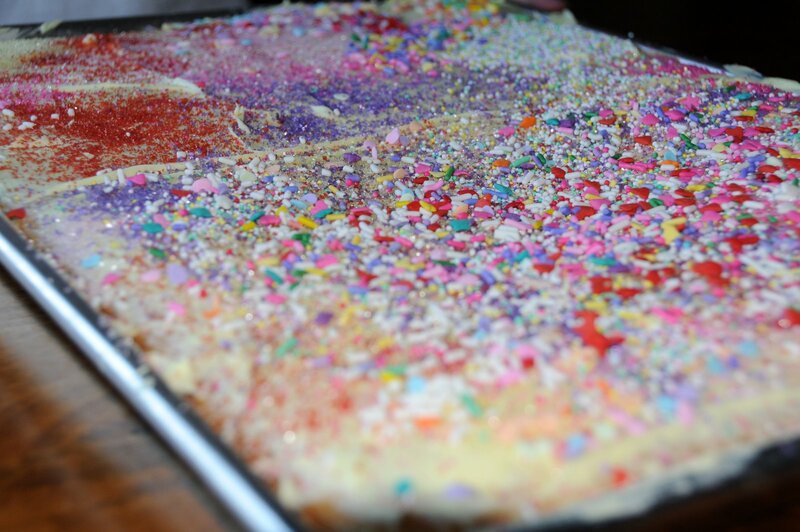 I think it looks AWESOME ... and delicious!